Plans for a temporary Gypsy and traveller site have been rejected. 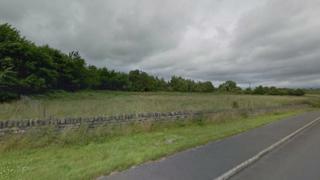 The 10-berth camp was proposed for farmland between the A5 and A55 at Star, near Gaerwen, on Anglesey. Anglesey Council's planning committee rejected officers' recommendations and sided with 1,500 residents who signed a petition opposing the plans. The application will be re-heard by planners in October after a "cooling off period" which follows decisions that go against officers' advice. Planning agents said the development was needed to comply with housing legislation. John Stoddard, of Capita, which helped compile the application, told the meeting the Gypsy community had been consulted and agreed the site was suitable. The authority has been looking for two Gypsy and traveller sites since 2016, and land was earmarked for the temporary stopping place in Star and a permanent residential site near Penhesgyn. Opponents of the plans cited flood risk, pollution and road safety concerns, and suggested that a proposed 2.4m fence enclosing the site could impact on tourism. "I agree that we need a site somewhere but travellers deserve better than this one, which is totally unsuitable," Dewi Gwyn, speaking on behalf of local opposition to the development, told the meeting. Natural Resources Wales (NRW) and North Wales Police offered no formal objection but the force did raise an observation about the site's proximity to the A5.